A good enough kit in single segment was accompanied by the head AIRSAL! 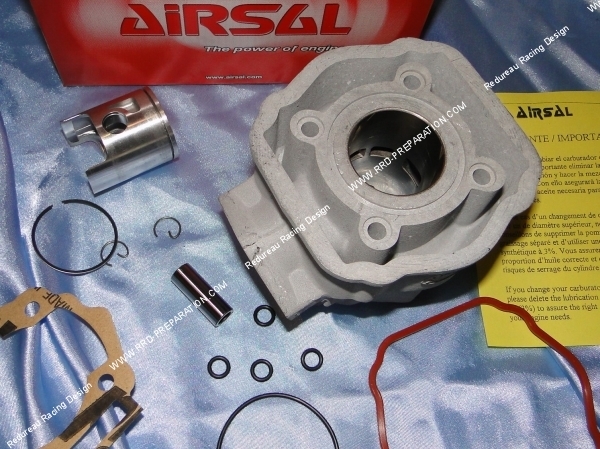 Ideal to repair your high engine AIRSAL SPORT cost, here the cylinder kit - piston without cylinder head for motorcycle engine 50cc 2 times a gearbox DERBI EURO 3 which equipped the X-TREM, X-RACE, DRD, GPR, Aprilia after 2007 and many other machines. You can accompany this kit with 40mm breech AIRSAL! 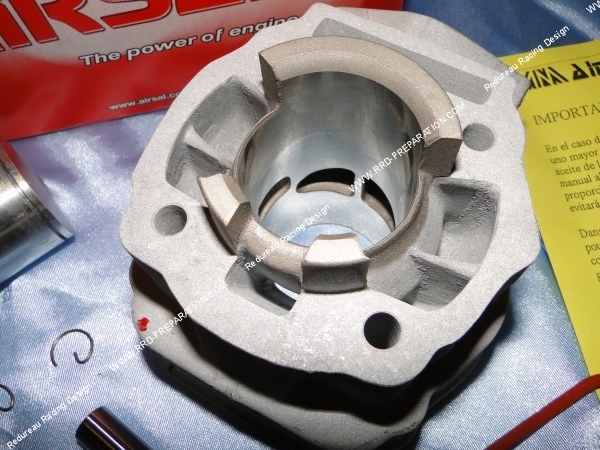 Like the cylinder / piston comes with the cylinder head, this model has a Nikasil treatment of exhaust has bar, 5 transfers of admission, a piston mono-segment late 1mm with side grease .. . 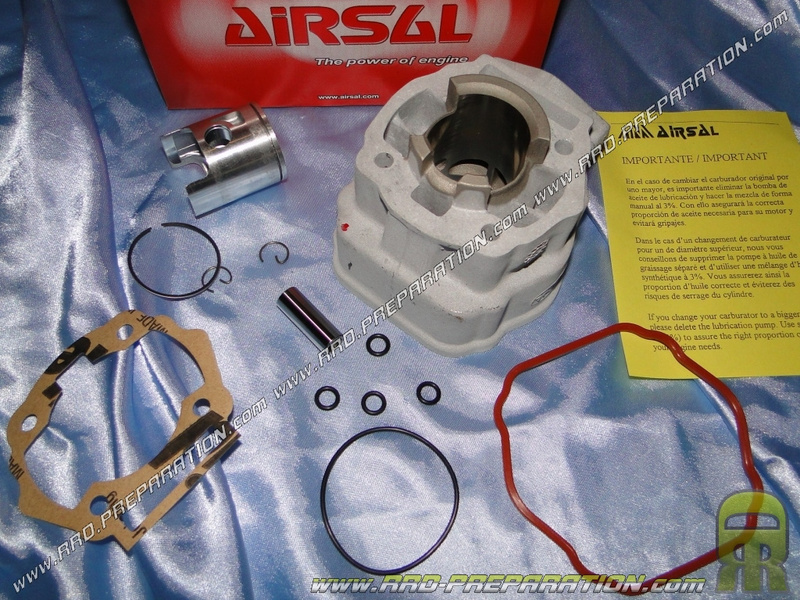 It is also delivered with clips in G, its seals ... Like the picture.